Perfect to Give the appearance of a bigger and brighter room comes this exceptional new Valentina mirrored collection from our range of Venetian mirrored furniture. 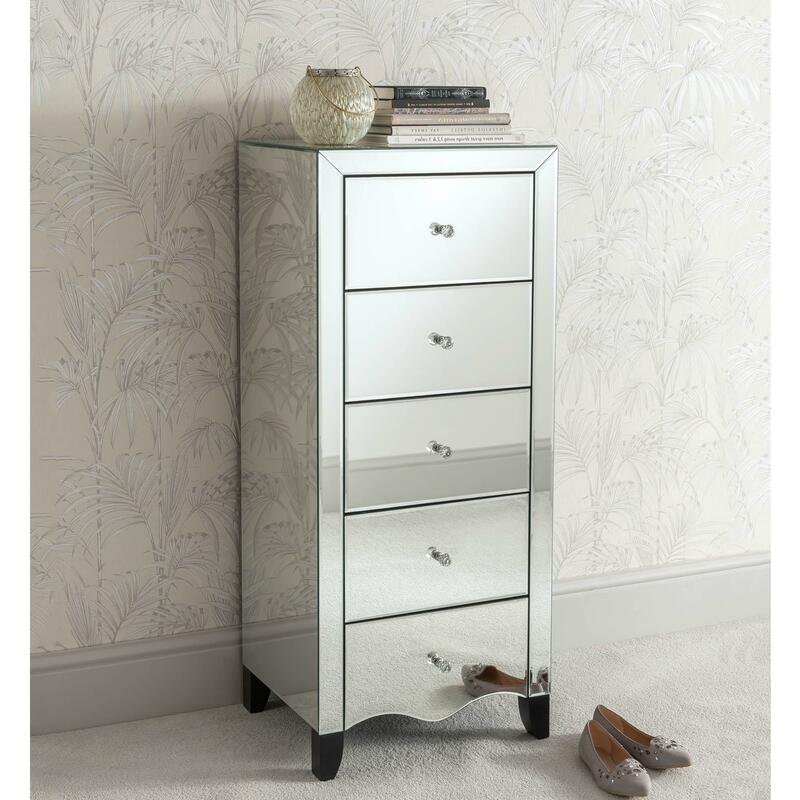 Crafted and made from clear cut glass, this delightful and practical tallboy chest is sure to astound and impress across generations. Featuring 5 drawers with crystal handles and black wooden legs, this delightful Venetian tallboy chest will become an instant favourite in any bedroom setting.